This site is being used for qualifying practice ice and credential purchases along with non-qualifying events, practice ice, and merchandise! This site is being used for qualifying practice ice and credential/all event purchases along with non-qualifying events, practice ice, credential purchases! For hotels, please refer to the announcement for information. 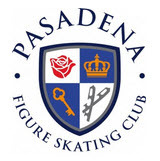 In accordance with US Figure Skating policy, a Gender Neutral changing room will be provided during the 2018 Pacific Coast Adult Sectional Championships.